Today marked the end of a truly epic era. Scott Snyder and Greg Capullo finished their epic run with Batman and will go down as one of the best duos to ever pen and draw the caped crusader. Snyder and Capullo have defined what Batman is to a generation of fans. The two have had a masterful run with the series since 2011 and they will be missed. Their work is some of the best that Batman has ever seen and they deserve a spot on the Mt. Rushmore of Batman. Thanks fellas. Batman #51 - We have reached the end of an era. Snyder and Capullo said farewell to the Dark Knight in a beautiful tribute to Batman and the impact he has on Gotham. He is often blamed for creating many of the villains in Gotham, but we need to remember the positive impact he has on its citizens. In a somewhat subdued issue, it was a fitting way to mourn the passing of the torch and the end of an era. While I am sad to see Snyder and Capullo give up the reigns on this series, with the reboot that isn't a reboot entitle Rebirth on the horizon, it makes sense to let someone else start anew. I would like to take this time to thank both Snyder and Capullo on the definitive run of Batman during my time with comic books. Saga #36 - Marko and Alana are reunited with Hazel!!!!!!!!!! They are all together again!!!!!!!!!!!!!!!!!!!!!!!!!!!!!!!!!!!!!!!!!!!!!!!!! !Oh happy days!!!!!!!!!!!!!!!!!!!!!!!!!!! !Marko Alana and Hazel are a family again!!!!!!!!!!!!!!!!!!!!!!!!!!!!!!!!!!!!!!!!!!!!!!!!! This issue brought a tear to my eye and I am not embarrassed to admit that I cried when Hazel was hugging her daddy. 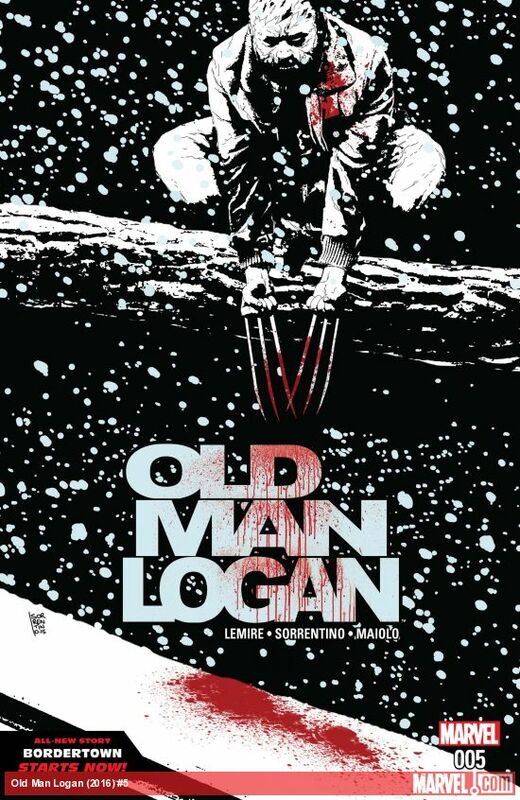 Old Man Logan #5 - I continue to enjoy Jeff Lemire's take on Old Man Logan. Wolverine is once again reunited with the X-Men, but still is struggling to return back to his own timeline and hopefully save his family. In what has been a violent series, we see are treated to an issue that shines a spotlight on why Logan is such a powerful character. He returns to the Weapon X facility for unknown purposes, only to find a young girl named Maureen and has an instant connection. He vows to protect her, not sure of why he is drawn to her, but he knows it what he has to do. Something tells me that these moments of peace are going to be fleeting. Daredevil #6 - The first issue in the new arc, Elektric Connection, is off to a smashing start and is a great jumping on point if you are thinking about reading some Daredevil. 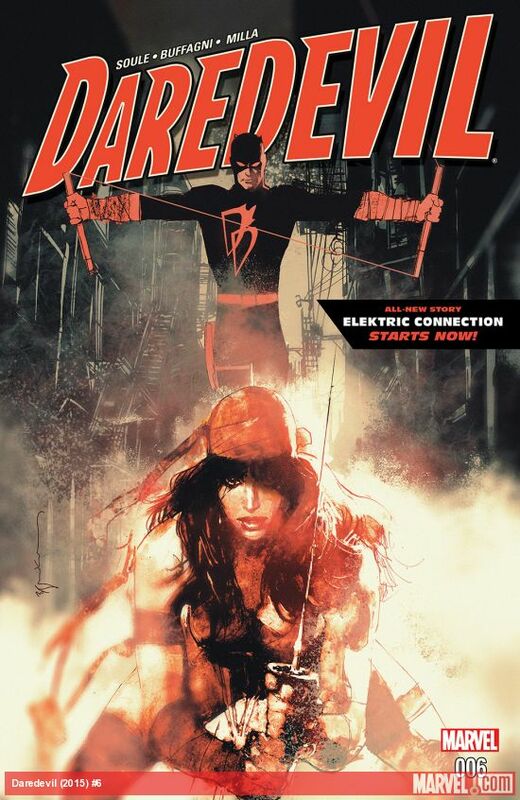 Most of the issue is a fight between Elektra, Blindspot, and Daredevil and I am just fine with that. I have really enjoyed the darker tone that Charles Soule has brought back to the Man with No Fear and artist Matteo Buffagni and color artist Matt Milla deliver some stunning panels. This is a high-octane, no frills start to the new arc and one that has me very excited to see such an elite assassin brought into the mix. 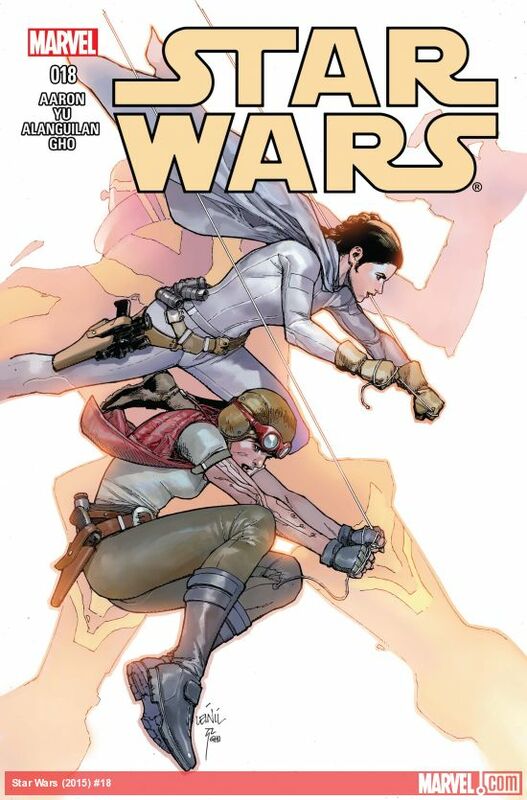 Star Wars #18 - The alliance between Aphra, Leia, and Sana appears to be working well as the three attempt to break out of Sunspot Prison. The mysterious figure who is killing the prisoners held captive at Sunspot remains a mystery, but we gain a small amount of insight on who he might be. It seems that he once learned under Princess Leia. A very action packed issue that was an absolute delight to read. This series and Darth Vader are the two must read Star Wars comics currently.